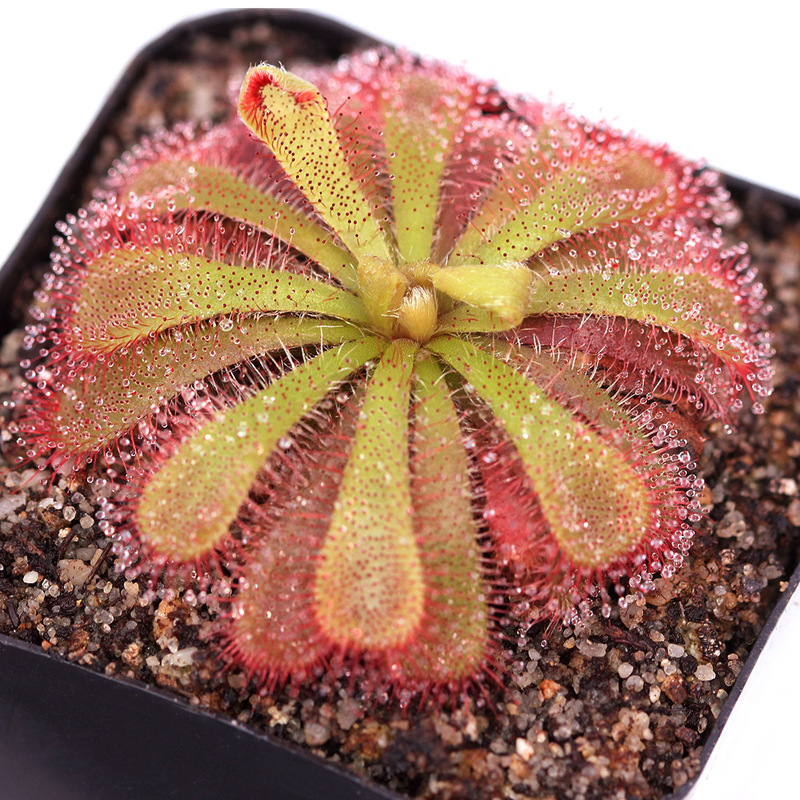 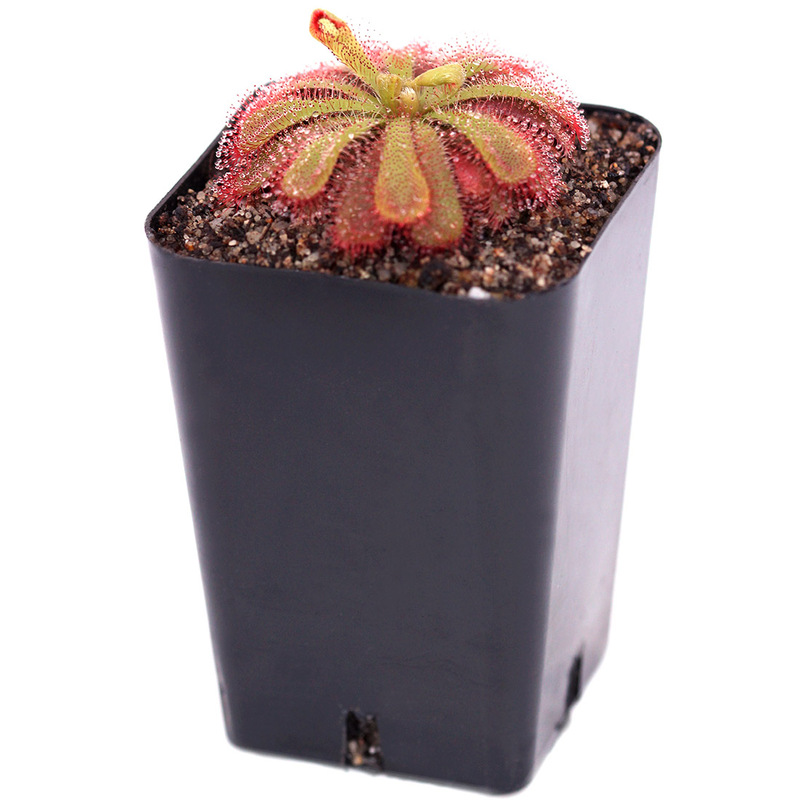 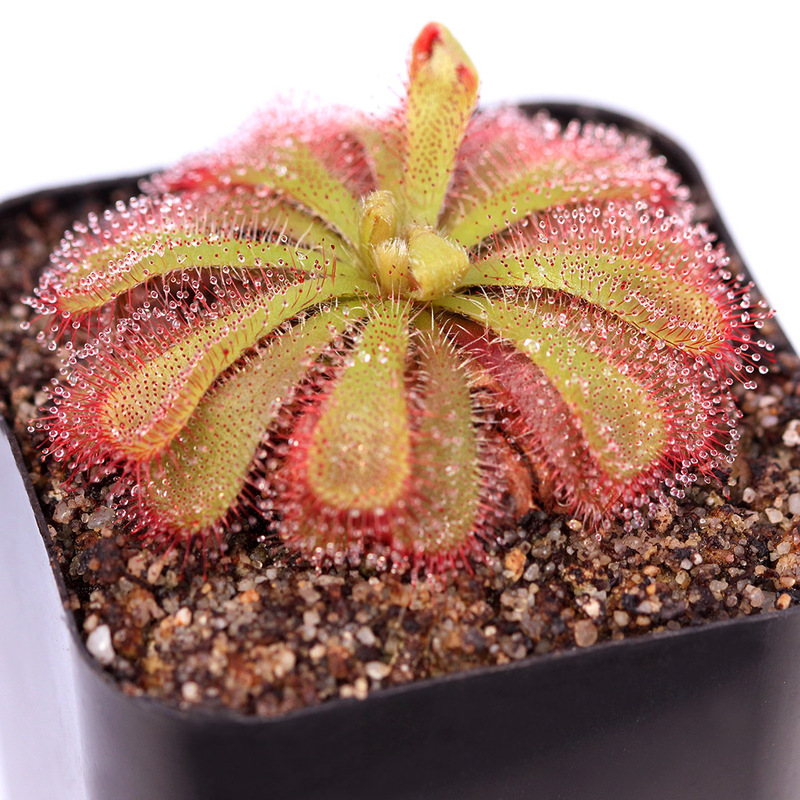 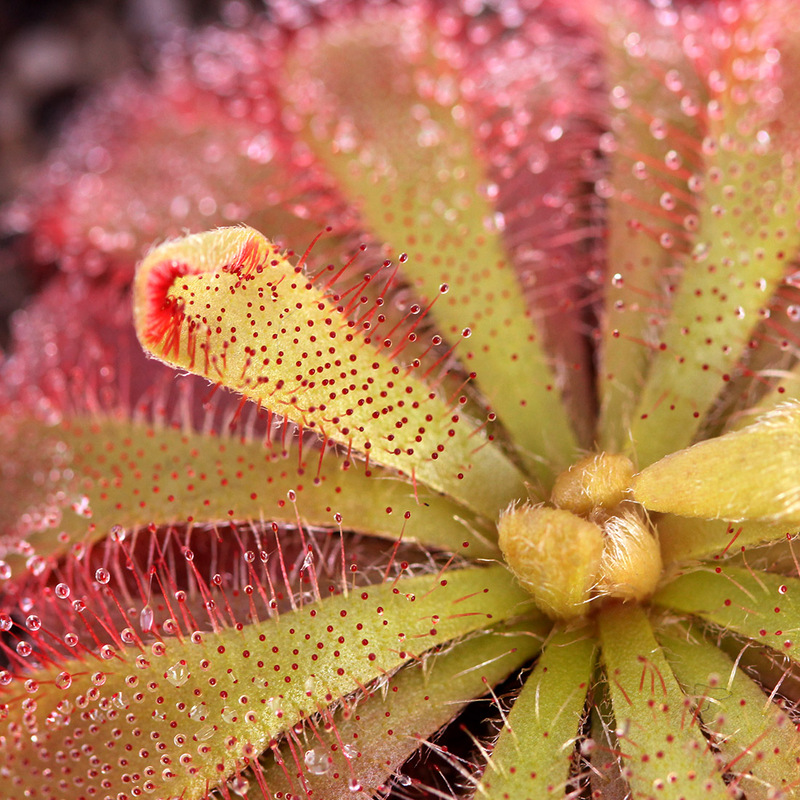 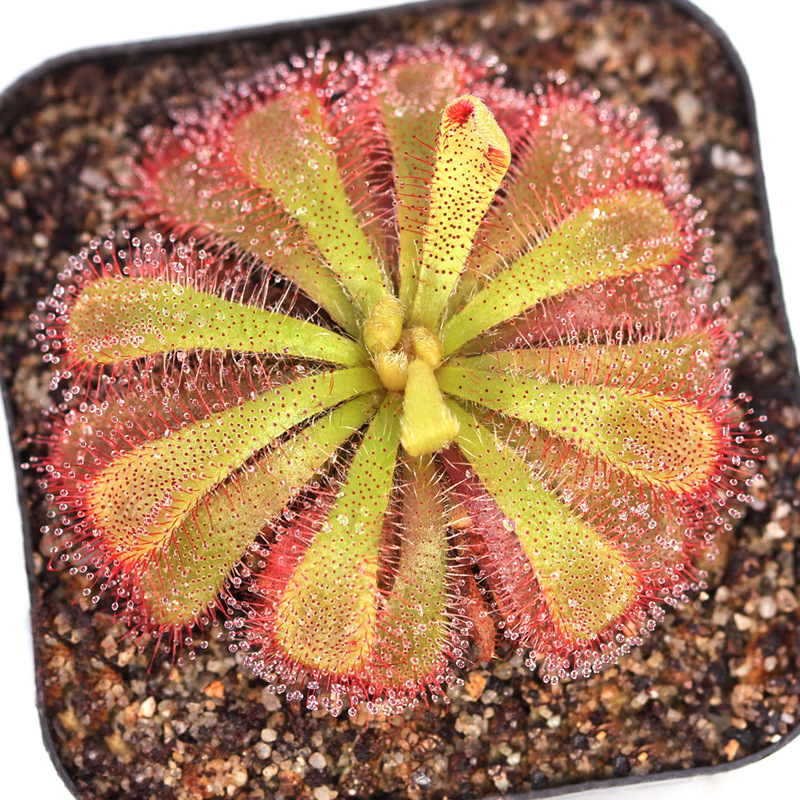 Drosera aliciae is a sub-tropical rosette sundew native to South Africa. 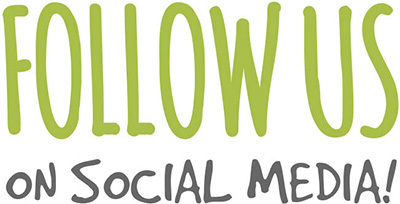 It is easy to care for and recommended for beginners. 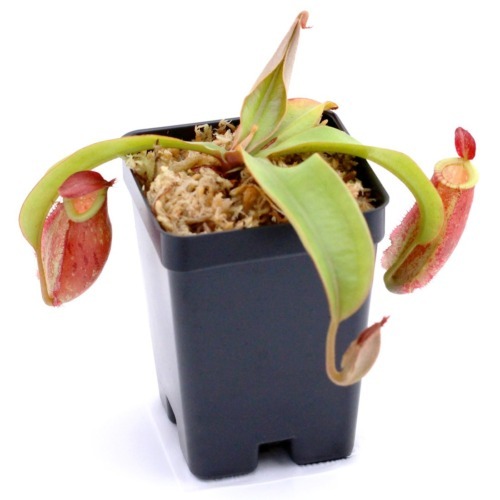 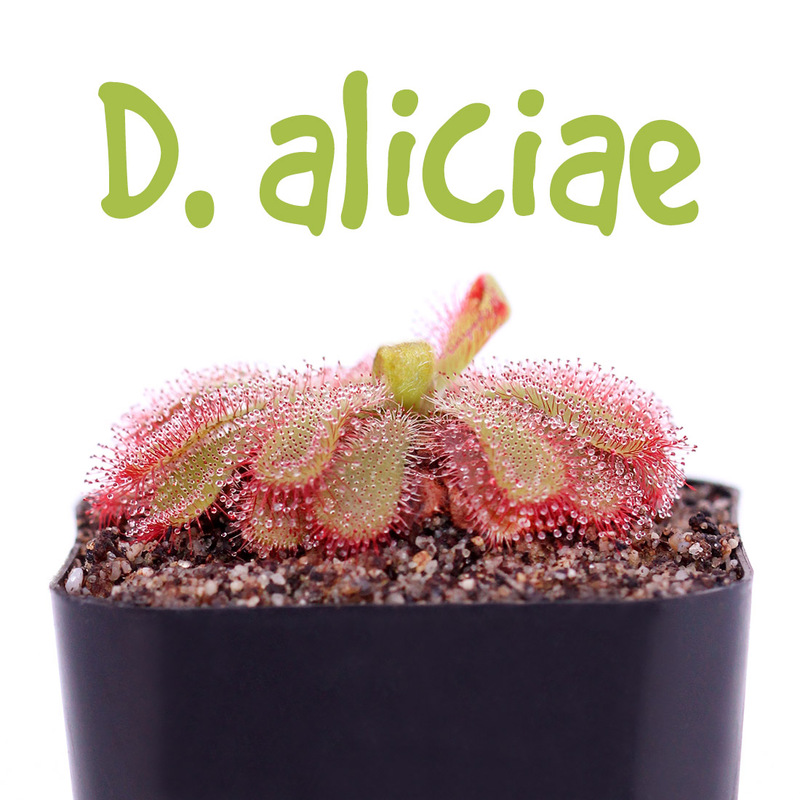 D. aliciae can turn bright orange/red if given strong light but may become more green in dimmer conditions or if fed frequently. It has a habit of clumping and can form beautiful mounds of dewy plants. 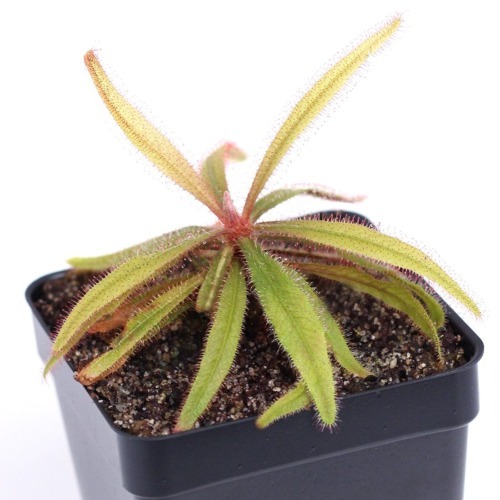 Planting and adjustment instructions will be included with your shipment.